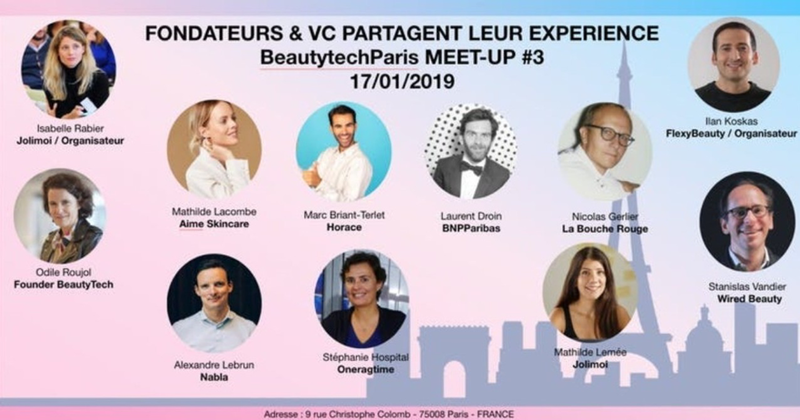 This January 17th, the Beauty Tech meetup graced Paris for the third time at the tech incubator facility #LaPiscine. The objective was to host a gathering of entrepreneurs and investors and allow them to network and share their business experience. 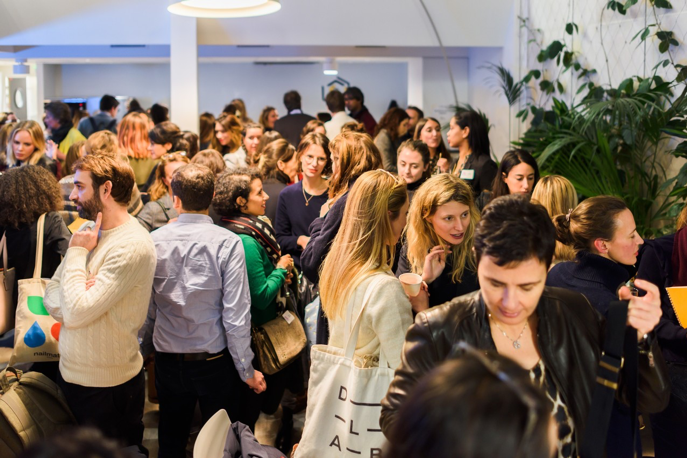 This meetup saw record-high levels of excitement, with around 130 individuals in attendance, most of them being ‘startuppers’ in the cosmetics industry. Panel #1 featured three representatives from different startups in the clean cosmetics field, with each proposing new types of ethical beauty practices. 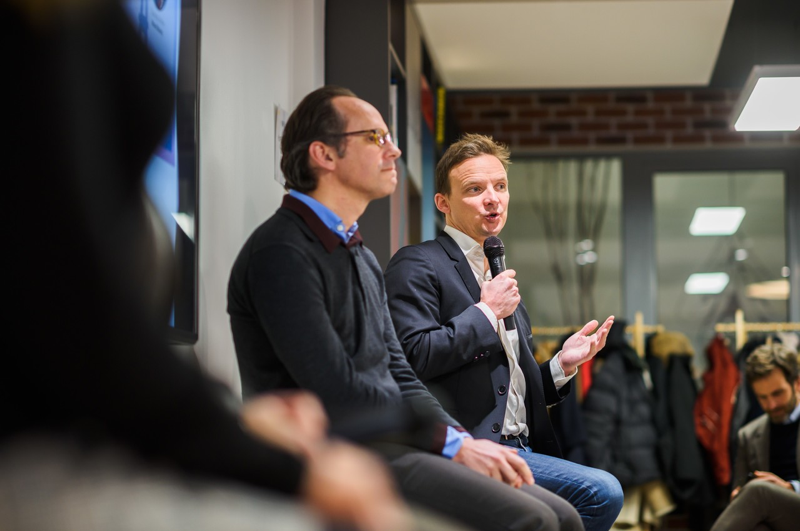 Marc Briant-Terlet, who co-founded the men’s skin and hair care brand Horace in 2015, talked about his business and the relations between brands and consumers, “This is the era where consumers can casually make contact with a brand via social media. It’s all about how low the barrier between customers and brands can get.” Briant-Terlet’s company produces Made in France men’s cosmetics of which are over 95% made up of natural components. He went on to mention that while there are many men who use deodorant, shaving, and styling products on a daily basis, the amount of men who actually take notice of what’s inside these products is still a minority. Also, for men who’ve never had the habit of using cosmetics in the first place, there can be many obstacles in the way towards them creating a routine to care for their skin and hair. Actually, in many cases, men will buy cosmetics but not know how to use them properly. To deal with this reality, the brand website of Horace features more ordinary, everyday male models with a variety of skin colors and bodies to create a friendlier image and portray the idea that anyone can use cosmetics. Through this, they hope to make it easier for men to take the first step. Another speaker during Panel #1 who is striving to spread new practices within the beauty world was the co-founder of women’s supplement brand Aime and charismatic blogger Mathilde Lacombe. In France, beauty supplements are becoming popular, however, it’s still nowhere near the levels of the US and the UK — perhaps because of the pervasive image over there of supplements as pharmaceutical drugs. Aime offers a three-product line up that deals with universal women’s issues such as menstrual cycles and air pollution and that helps achieve healthy skin that can be flaunted without makeup. In order to promote this new approach to beauty, the brand’s images on Instagram show scenes of how supplements can be adapted into everyday life. The capsules are also designed smaller in order to make them easier to be consumed with liquid on a daily basis. Nicolas Gerlier is the founder of La Bouche Rouge , a lipstick maker which offers safe-to-consume lipsticks and personalizable lipstick cases. Through his lipsticks, he emphasizes not only clean cosmetics and eco-responsibility, but also good ethics. 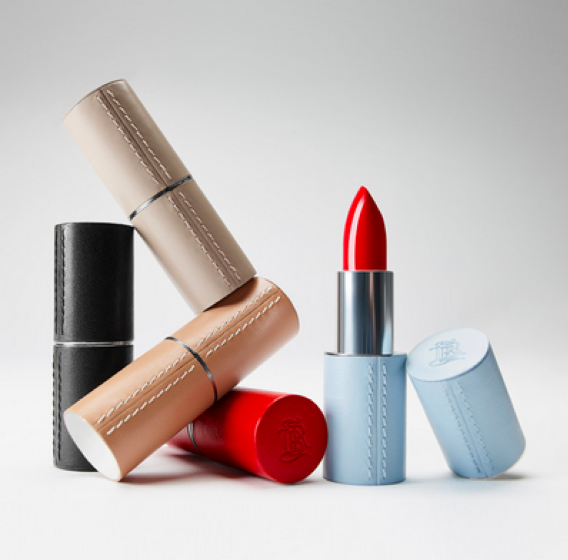 Gerlier, who previously worked for eight years at L’Oréal’s Luxe division, became aware of the fact that most lipstick cases were made of plastic and up to a billion were thrown away annually. Additionally, he found out that lipsticks sold by even famous brands contain components that aren’t exactly good for people’s bodies. Facing these two issues, he went on to develop a lifelong-durable lipstick case crafted handsomely out of high-quality leather, and to insert inside it, a refillable lipstick made of ingredients safe for humans and of which you can apparently “feel free to kiss or even eat”. The field of clean cosmetics tends to be handled and thought of differently by every venture through their individual business experience. These latest product concepts that are proposing new practices in the beauty world are starting to show clear policies from their creators. As ethical awareness towards cosmetics manufacturing and selling is becoming increasingly common at the moment, it feels as though that in the near future being able to trust the product’s creators and relate to them on a human level will become a decisive factor in choosing products. Panel #2 saw topics such as AI, data, devices, and personalization come up as the discussion turned to how technology and data can be practically used in business to change the customer experience of the future. Among the speakers was Stanislas Vandier who is the co-founder of Wired Beauty , a company which developed what’s become known as the world’s first smart mask. In 2016, they developed a mask that can measure moisture in the skin through three sensors, and in 2017 released a widely-talked-about small device that clips onto your clothes and can measure ultraviolet rays. This portable smart device encourages proper skincare by showing users their skin’s condition through data. Another speaker, AI-specialist Alexandre Lebrun, asserted that “when it comes to introducing technology, timing is everything”. Lebrun caused a stir when he sold his AI voice tech company “Wit.ai”, of which he co-founded in 2013, to Facebook two years later. Lebrun’s latest AI startup currently gaining the most attention in France and which has already procured 2 million euros in funding is Nabla. Some of their clients are cosmetics companies and from now they’re expected to create new services and develop applications which could potentially change the industry and customer experiences. Jolimoi, co-founded by Isabelle Rabier, is a personal shopping service that uses an original AI matching system, “Beauty AffinityTM”, along with 250 beauty stylists to narrow down cosmetics that match customers individually. It’s a B2C2C model, where instead of just using net-based consulting, the stylists actually meet with customers to find the optimal product that suits them. An advantage for Jolimoi is the enormous amounts of customer data that can be picked up through the beauty stylists. They prioritize having a closeness with customers that allows them to gain information face-to-face, and they plan to increase their team of stylists up to 1,500 by 2020. 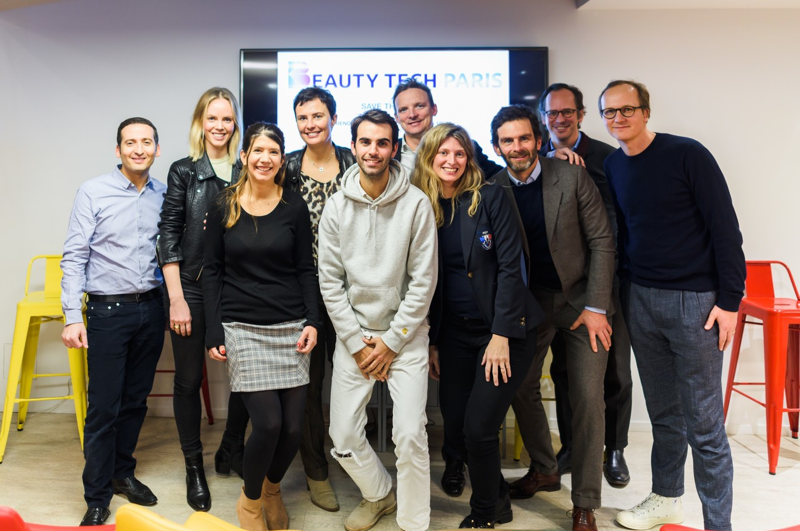 The meetup this time was organized by Jolimoi’s Isabelle Rabier and FlexyBeauty’s Ilan Koskas, whose company offers a management app for beauty salons, spas and nail bars. 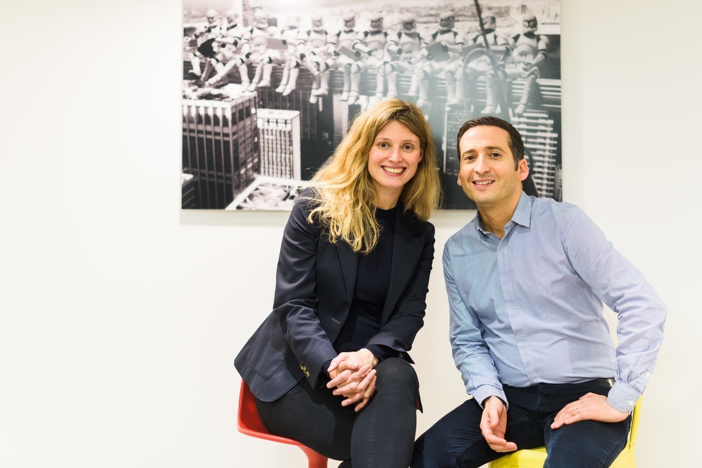 The two of them have been prominent movers and shakers in the community, with Rabier appointing a female as the CTO of her company in 2017 — a role which almost always is dominated by males — and Koskas procuring 7 million euros worth of funding in 2018. These types of new challenges and advancements of beauty entrepreneurs are what’s stimulating the beauty tech community. After the panels ended, everyone stayed on for an open-hearted discussion and networking session — with accompanying glass in hand. The next meetup in Paris is due to be held in October 2019. BeautyTech.jp is a digital magazine in Japan that overviews and analyzes current movements of beauty industry focusing on technology and digital marketing.